Embattled Botany MP Jami-Lee Ross has apologised to everybody he hurt last year, including the leader he attempted to take down. 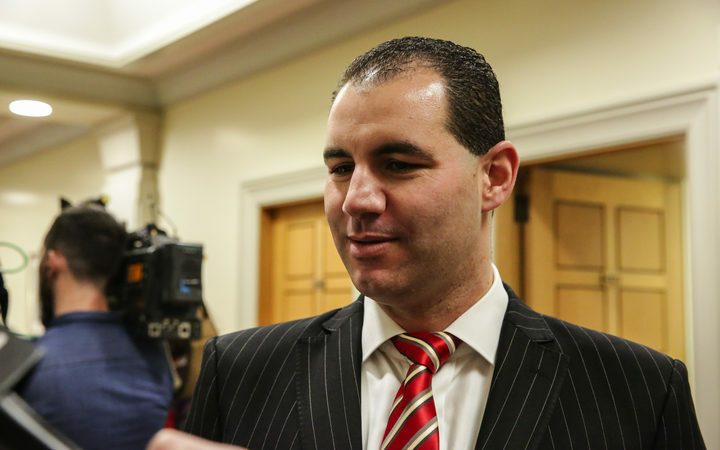 Mr Ross has used his social media platforms to say sorry to National leader Simon Bridges, deputy Paula Bennett, his former National Party colleagues, his former staffers, and his wife and children for the things he has done and for what happened last October. He claims he began struggling with mental health early in the year, as his job and relationships began deteriorating. Mr Ross said his kamikaze-style response to being sent on personal leave last year, was attune to a wounded animal being backed into a corner. "A colleague that's still in the caucus and leadership team rightly observed that if you back a wounded animal into a corner they'll either curl up and wet themselves, or they will bite back as hard as they can. "I clearly wasn't thinking straight at the time. I clearly wasn't coping. And I was in a sort of hate-fuelled daze. "When I was put under immense pressure, with my whole personal and professional life threatened, I decided to bite back as hard as I could. These weren't the actions of someone in a good state of mind. But it's where we got to, and the whole country was watching." He said he regretted his actions and planned to return to parliament to be the best MP for Botany he could. "I also want to go back to being the type of representative I was earlier in my career, free from political party posturing, to just speak up for the people that voted for me. "We spend too much time in Wellington fighting with each other over petty things when we should be focussed on what will improves lives and what helps a family's back pocket." Mr Ross said the thing that stopped him from making an even bigger mistake was the image in his mind of his daughter. "No amount of political point scoring is worth hurting other people or crushing the happy face of my little girl. "We all got in to politics to try to make the world a better place for the boys and girls of the future. In October we forgot that. And we let many people down." The police have confirmed this evening that they are investigating the text message sent to Mr Ross by a former National Party colleague. The text sent in August at 1.19am on a Saturday morning was 61 words long and concluded by saying: "You deserve to die". It is illegal in this country to encourage another person to take their own life, and such an offence could mean up to three years in prison. The police say "an investigation is ongoing" into that text message but would not provide any further details. At the time the text was sent to RNZ, Mr Ross had made major allegations of unethical behaviour against his former boss, Simon Bridges. As well, several women accused Mr Ross of bullying and harassment. Mr Ross has admitted to an affair with a fellow MP and apologised to a woman he admits he behaved inappropriately towards during a local body campaign his wife was running in. The public row ended abruptly when he was sent to a mental health facility at Middlemore Hospital by the police.